You can also see World Cafe for a different, easier way to approach the problem of large meetings. When conflict can be a related issue you can consider Non Violent Communication. Open Space Technology (OST) is one way to enable all kinds of people, in any kind of organization, to create inspired meetings and events. Over the last 20+ years, it has also become clear that opening space, as an intentional leadership practice, can create inspired organizations, where ordinary people work together to create extraordinary results with regularity. Explore, plan and project together, particularly in large group can prove extremely difficult. Logistic, organization, inclusiveness, effectiveness are big challenges and final quality of decision and process are constantly at risk. Other effects are: the impossibility to clearly see where the energy and the resources are, the risk of exclusion, the lack of creativity and more. Making different actors of the community meet, share, design and plan together is difficult. And if you are truly trying to produce empowerment and foster diversity and inclusiveness even more. And if you are really searching for energy, creativity and quality… ok, you’ve got it. 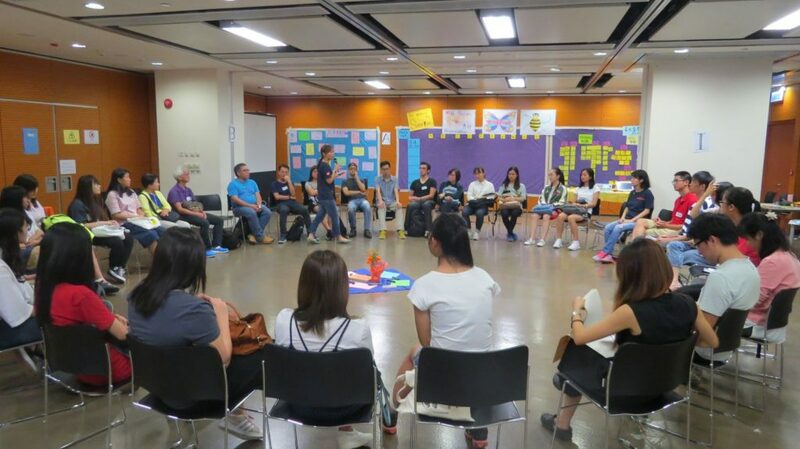 Open Space Technology (OST) is a very powerful (widely experienced) tool to use when you are really trying to fulfill the goals above, here is the link to the documentation, and you can find online resources, books, trained facilitators and all you need to make an OST meeting quite easily. And it always works! It scares all because the lack of a precise agenda produces uncertainty, a sense of confusion and loss in the potential participants. Then it scares those who feel the should control the process, for instance those with the responsibility on the results of the process (often institutional figures or technicians somehow in charge of the activity). The suggestion is to check carefully the context and if OST seems too “different” or “scaring” to those involved move to an easier methodology like WorldCafe. The right question is another critical aspect. The methodology is based on the presence of a central question that involves and fires the attention of all the participants. This should be considered as an essential prerequisite the absence of a question with this quality suggests to move to a different methodology. At the same time, making the wrong question can lead to wrong or less effective choices, planning, etc. OST really creates a series of great conditions and opportunities. It is a great way to discover where the energy of the community really is, make people with similar interests and tensions to meet and work together, empower those ready to act, exercise collective thinking and find quality solutions to very complex problems. More than this is a very quick way to experiment a very different quality of relations within the community. The rules that the participants agree to follow during the meeting introduce a profound cultural change that that is experienced in real time. Every participant will bring back to home this new game changer possibility. This effect opens a lot of new doors in the pattern of relation within the community, no matter who the participants were. You can find thousand of examples in the OST documentation, being a methodology which has been in use for decades, but we can say that the Transition Towns movement put OST on the set of its basic tools since from day one because of its extraordinary characteristics and its potential for disruption. To organize powerful meeting (from 20 to 1000 participants) where you want involvement, real empowerment, creativity, concreteness you should consider Open Space Technology as a way to go. When you move more into deepening and projects creation you can find interesting facilitation tools like Dragon Dreaming of Fishbowl. To support all the community activity with the best quality of information (Head) see our guide on "How to get good data".